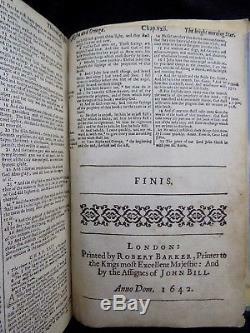 KING JAMES BIBLE PRINTED BY. PRINTER TO THE KINGS MOST EXCELLENT MAJESTY. 6 1/2" X 4 1/2" OVERALL. 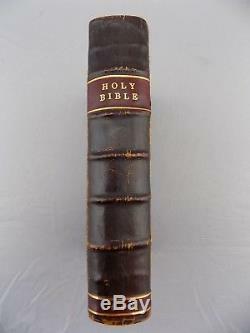 NICELY BOUND IN A 19TH CENTURY FULL LEATHER BINDING! 74 LINES OF ROMAN TYPE TO THE FULL PAGE. 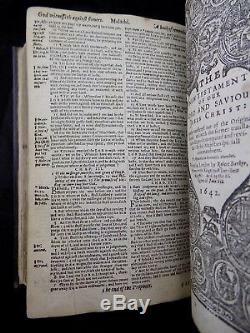 A BEAUTIFUL EXAMPLE OF AN EARLY ENGLISH CIVIL WAR BIBLE PRINTED DURING THE FIRST YEAR OF THE WAR! FEATURES A HAND WRITTEN FAMILY REGISTER PAGE WITH ENTRIES DATING FROM 1815. Family register in ink with a quill dating from 1815, General Title Page (1642) supplied in fine sympathetic facsimile without the woodcut on the verso, The Old Testament [A3-Nn7] bound without the Apocrypha. 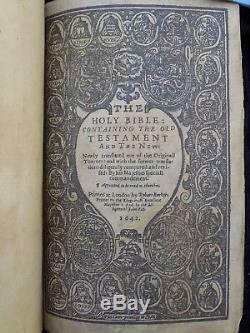 New Testament Title Page (1642) , The New Testament [Yy4-Kkk8a] with the colophon dated 1642. 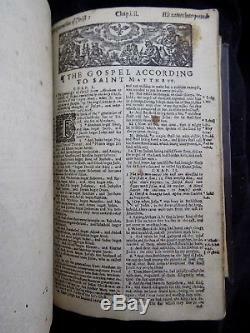 Paper this Bible is printed on is bright clean, crisp and supple, minor staining and soiling from use. 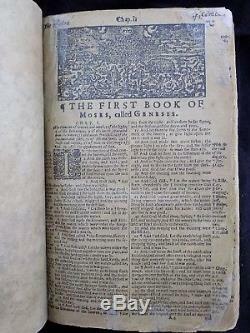 No loose or missing pages, clean gutters, straight edges and strong corners, first leaf of Genesis is browned with minor loss to both corners, last leaf of Genesis with torn upper corner with loss of text to about six verses, V. THIS BIBLE IS NICELY BOUND IN 19TH CENTURY FULL DARK BROWN LEATHER. THE SPINE FEATURES 5 RAISED CORDS CREATING SIX COMPARTMENTS THAT FEATURES RED MOROCCO LABELS WITH: "HOLY BIBLE" AND "1642" WONDERFULLY STAMPED IN GOLD. 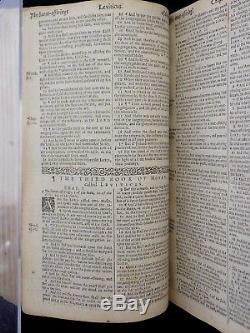 THE TEXT BLOCK IS STRAIGHT, SQUARE AND SOLID. THE INNER AND OUTER FRONT A REAR HINGES ARE NOT SPLIT OR CRACKED AND ARE HOLDING THE PLAIN COVERS FIRMLY. 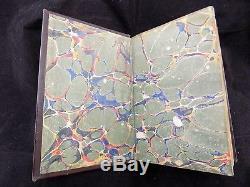 WELL EXECUTED HANDMADE MARBLED GREEN END PAPERS FINISH THE BINDING PERFECTLY. A WORD FROM THE CONSERVATOR. 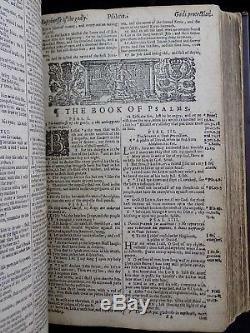 This Bible has undergone a page by page comprehensive paper conservation leaving no condition concerns or further actions required. Many newer collectors often call into question the authenticity of our Bibles because of their outstanding , fine condition. As with any item of age, value is determined according to condition-condition-condition! Each and every leaf is guaranteed authentic as intended by the original printer. This ancient 17th century treasure is NOT a replica, reproduction, facsimile, reprint or forgery. The fine art of hand bookbinding is alive and well in 2018. We strive hard to acquire only those Bibles which we would like to collect ourselves, perform any needed restoration work professionally to archival standards and present them to you free from concerns. 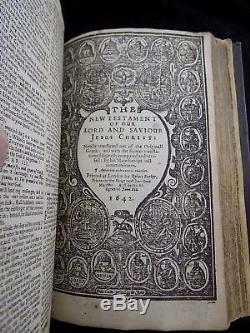 There has been much discussion regarding the addition of this volume to our permanent collection! 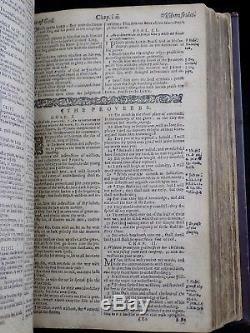 Antiquarian Bibles continue to increase in value-In fact, they have done so at about ten percent per year over the last ten years making them a sensible addition to any portfolio. BE SURE TO VISIT OUR STORE FOR MORE! 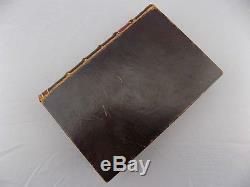 The item "1642 KING JAMES HOLY BIBLE RARE ANTIQUE CIVIL WAR LEATHER BINDING VGC, COMPLETE" is in sale since Monday, July 16, 2018. This item is in the category "Books\Antiquarian & Collectible".